On the first day of camp at Camp Ramah in Palmer I would go in the marp [short for mirpaah, infirmary] to introduce myself and inform the camp doctor, “If it’s a cut or string burn the kids come to the marp; if the arrow is in the hand or leg we bring them to the marp; if it’s in the head or chest we go to the hospital…but we’ll let you know when we’re leaving.” It was fun to see the doctors go into a panic. In all my years of teaching we had one kid with a feather cut when the arrow left the bow. The kids wanted me to be a badass and an Errol Flynn. They had no clue I was a rabbi. I used concepts that related to other parts of camp – Hebrew, tfilah [prayer], responsibility, and if they didn’t listen I’d kill them. Kids could earn patches from the Archery Association to put on t-shirts: I made a milon [dictionary] patch. So if you were totally spastic you could still earn a patch in Hebrew vocabulary for kashatut [archery]. This sport is about discipline and intellect. It’s about meditation. You have to remove from your head anything except an image of where and how your body is relating to a target. Once a kid asked me to hit a Coke can. I put an arrow through it lengthwise. Kids went WHOA! It was stupid; I stripped the fletching! But the legend grew in the time it took to close up the field and walk to lunch – by the time I’d gotten to the dining hall I’d tossed a sixpack in the air and shot all the cans before they hit the ground. Studying archery can incorporate architecture and history – the bet hamikdash [ancient temple] was in part a citadel and fortress. The windows were shaped to be arrow slits, maximizing range and direction of arrows from the inside out but keeping the people inside safe. It was a defensive architectural design. There is a haftarah with David and Jonathan in which Jonathan says “I’m going to fire three arrows,” as a signal to David. Why three? Because when you aim, your eye is on the same angle as the point of the arrow. The three arrows will land in a group, consistent. We have a 3000-year-old textual history of how you sight with a bow! Two arrows is insufficient; four is overkill. I purchased antique 3,000-year-old arrow points and once a summer I’d attach them to an arrow and shoot them to show they were still functional. I also teach calligraphy – kids not only learn to write, but how ink is made, how a pen and quill are cut, how a reed works. I teach that way about bows and arrows too. I taught them to re-fledge their own arrows and make a bowstring. You earn the right to gather more skill the further along you go. Little kids just shoot and learn the basics, but the more you study, the more you learn that it is an artisan-based craft. 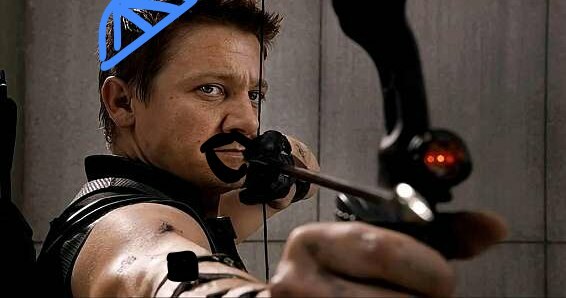 The kids slept at night when I was on shmira [guard duty] at camp instead of goofing around, because the legend was that I stalked the camp with a bow and arrow. My son Avi told the other kids that the reason we went to Palmer was that I shot and killed a kid so we had to change camps. I think that everything should have a focus. Everything can be tied to Judaism, and if you don’t understand that you have the wrong teacher. If I were running camps I wouldn’t make kids sit in classrooms and be bored to death. I’d hire specialists and have them do things. Doing things can be another entry point for engaging people. It is a moment of worlds colliding. My partner worked in the kitchens at Camp Ramah in the 90s. I love these funny small world moments.